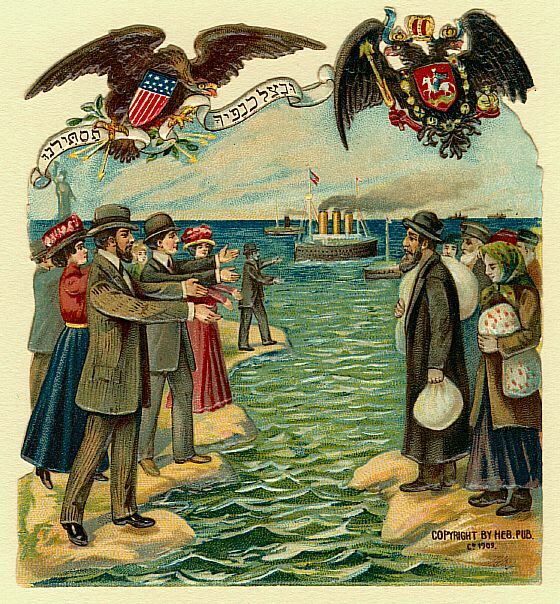 Jewish immigrants first arrived in North America in the 17th century, before the United States was the United States. However, it wasn’t until the second half of the 19th century, particularly after 1880, was there a large, distinct Jewish presence. Some of this had to do with numbers, between 1880 and 1920 over two and a half million Jewish immigrants came to the country. Some of this was about the identities of the newcomers, the overwhelming majority of the new Jewish immigrants were from Eastern European countries under Russian control or influence. While there was a revival of Jewish intellectual life in Eastern Europe at the time, many of those city dwellers stayed in Europe, those coming to the U.S. were often quite poor and fleeing persecution, and violence. The reality is that life was not easy in the United States either. Many Eastern European Jewish immigrants found their homes in run-down tenements in neighborhoods alongside other recent immigrants, particularly Italians. Their stories are eloquently captured in the literature of the time, including the in work of Anzia Yezierska. A free copy of her book Hungry Hearts can be downloaded here from Project Gutenberg. However, life in the U.S. was often preferable to the extreme hardships of life under the Czar. The short film we created to accompany Immigration and Identity: Jewish Immigrants and the Bintel Brief is a useful piece to use with students to provide a historical background for this lesson. 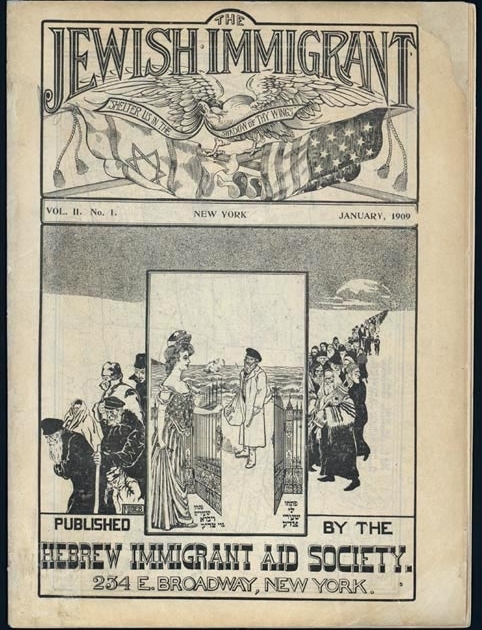 This lesson introduces images and artifacts, created by Jews in the United States that celebrated the opportunities for Jewish immigrants in the U.S. and encourage fellow Jews in Eastern Europe to emigrate. As a warm-up, ask students to reflect on the prompt “Why would someone migrate to a new country? What might they lose? What might they gain?” After allowing students to share their responses with their peers in groups, pairs, or as a whole class, transition to the next part of the lesson. 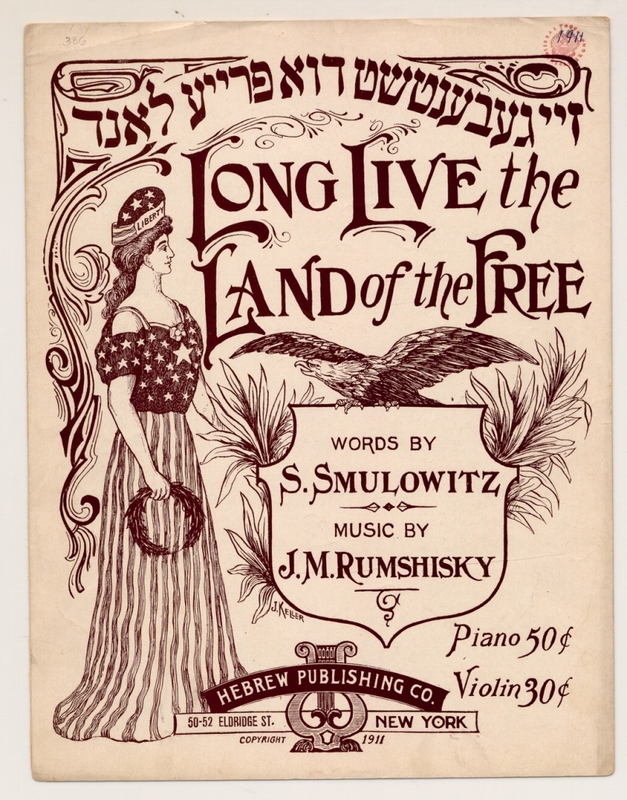 Some Jewish immigrants encouraged others to join them in the United States. Their sentiments were expressed in letters and postcards that they sent to relatives, in music, and in information booklets produced to educate those considering making the journey to the United States. Below are three images that can be viewed as a whole class, or at tables. 1. What do you see? This should be a list, described as objectively as possible. 2. Analyze the image. In other words, what messages are being sent in the composition and arrangement of images? Click on the images to link to a printable version of the image with information about the source and translations of the Yiddish language text. After pairs or groups report on the interpretations of their image, consider the motivations of those that created them. Why might these pieces have been created? Who was their audience? What did they want them to feel? What did they want them to do? Based on what you know about history, and about immigration, how do you think these messages would have been received by their audiences? What other responses might they have provoked in others? 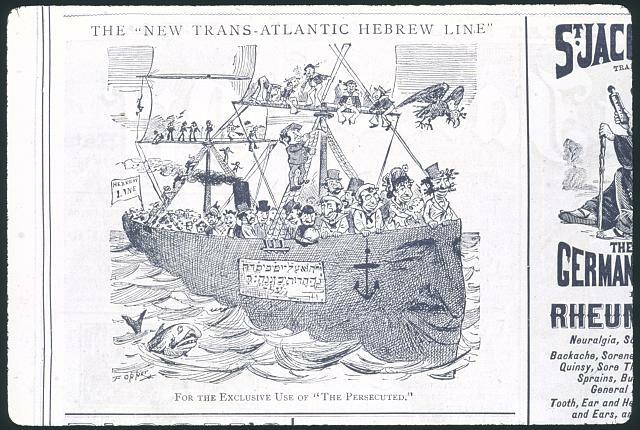 As an extension, use the same protocol to examine this anti-semitic cartoon from the same period. What message was the editorial cartoonist trying to send? Who do you think was their intended audience? What did they want them to feel? What did they want them to do? To conclude the lesson consider using this routine to help students connect what they have explored with their own experiences and the experiences of others. Consider how the material in this lesson relates to another text they have studied or read. What is it? What is the connect? Consider how the material in this lesson related to themselves. Based on the material and discussions, what person connections to they make between the content and their own lives? Consider how the material in this lesson connects to what is going on in the world? Educators may choose to pair this lesson with additional material about Jewish immigration, or material about other histories, or current events. Follow the links for additional resources.